it's important to maintain some form of workout regimen, even on vacation. Since you'll surely be indulging yourself at our amazing Newport Rhode Island restaurants, you're going to have to find a way to burn some of those calories, right? 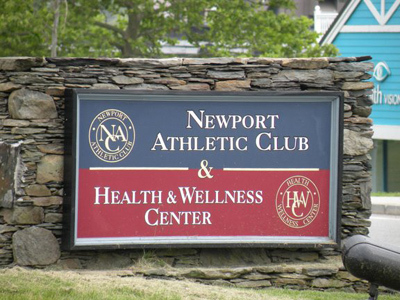 Lucky for you, Newport has a variety of options when it comes to personal fitness. I suppose you could stay indoors and workout at your hotel's gym, but what fun is that? 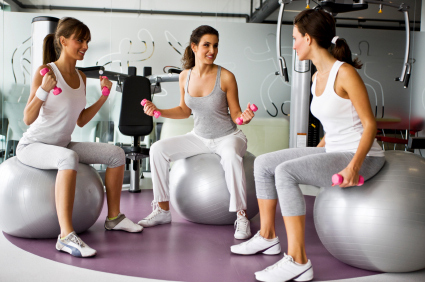 Working with a personal fitness trainer is a great way to get the most out of your limited time to work out during your vacation. A trainer can give you the proper direction and motivation, and make your workout fun as well. T3 Fitness, Newport's only private fitness studio and 24 hour facility, is a great place to hook up with experienced and creative personal trainers. 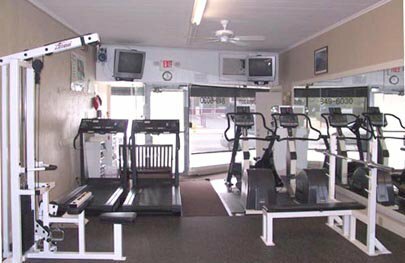 The owner, Brian Rurak, has over 20 years of health and fitness experience. He specializes in creating personalized workouts that challenge you while meeting your individual needs. Conveniently located on historic Broadway (across from Dunkin Donuts), T3 Fitness offers both privacy and a great staff that'll ensure you have a productive workout. 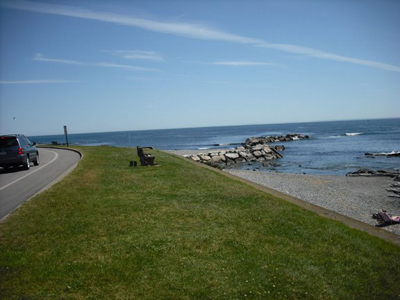 If you like to run or go for walks, Newport is full of scenic and historic locations for you to see while you get your exercise in. Rather than running on your hotel's treadmill, get out and enjoy the ocean breezes while you work out. Newport only has an area of 11.5 square miles, so if you like to bike ride, you can see much of the "City by the Sea" that way. Although you can ride pretty much anywhere you like, you might want to avoid the downtown area on a bike. During the summer season there are just so many people walking, driving, roller-blading and skateboarding that it's not the safest thing to do. If you're looking for the perfect place to go for a bike ride, try the 10 mile Ocean Drive. Located along the southern tip of Aquidneck Island, this 10 miles will be one of the most beautiful bike rides you've ever been on. If your personal fitness routine involves swimming, then you're in the perfect city. 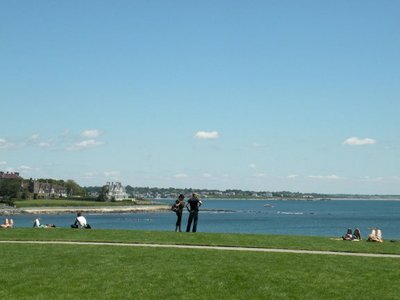 Newport RI beaches are ideal locations to go for a quick dip, or a long swim. 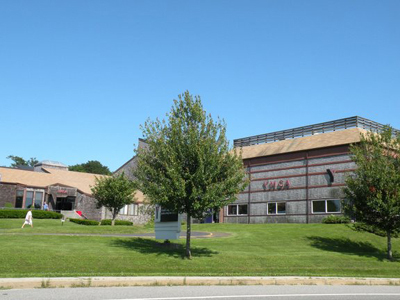 If you'd rather swim in a pool, check out one of the local athletic clubs below. 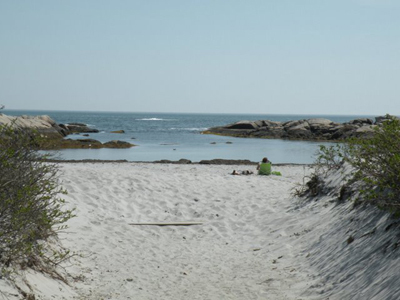 See the Newport Rhode Island Beaches map to choose where you want to go. 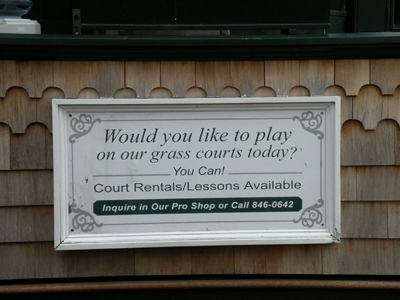 If you're looking to play some outdoor sports, Newport has a variety of options here as well. 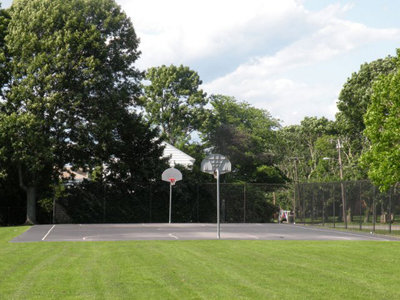 Basketball court at Murphy Field, aka "The Rich"
If you're seeking a full-fledged fitness center to meet your needs, you can go to the Newport Athletic Club or the Newport County YMCA. These 2 locations are actually just over the border, in neighboring Middletown. They're both only about a 10 minute drive from most locations in Newport. I admire your desire to maintain your personal fitness, even while on vacation. It's not easy with all the amazing Newport Rhode Island restaurants tempting you everywhere you turn! I'm sure you'll find a balance, and enjoy every aspect of your visit.